Teer Majak Mun is an innocent child caught in the middle of ongoing strife in South Sudan. He doesn’t understand why his family had to leave their home in Duk County. And, before he arrived at the nutrition stabilization center in Poktap, he didn’t know what it felt like to be healthy and well-nourished. When Teer was admitted to the stabilization center, run by IMA partner John Dau Foundation and funded by the U.S. Agency for International Development’s Office of Foreign Disaster Assistance, he was very sick. He suffered from convulsions. His eyes were sunken and his skin had a yellowish hue. The JDF staff knew there wasn’t a minute to spare if they were going to save Teer’s life. JDF was able to save Teer’s life because of the generous people and organizations that have responded during this critical time. In fact, the humanitarian response to the crisis in South Sudan has been so great that the famine designation was lifted on June 21. While it was good news, South Sudan is still struggling with food insecurity. The number of people who need assistance has increased because of armed conflict, economic crisis and meager harvests that were depleted well before the current lean season. The Integrated Food Security Phase Classification report shows 1.7 million people are still facing emergency levels of hunger, one step below famine. The U.N. has warned that downgrading the level of existing famine in the region does not mean the situation has completely improved. IMA and our partners are able to respond in the midst of this crisis because of our long-term commitment to the people of South Sudan and our proven track record of working with the government’s Ministry of Health. Donors who support IMA are helping women and children like Teer to recover from malnutrition and ensuring families have access to health, healing and well-being. Because everyone, especially innocent children, should know how it feels to be happy and healthy. Dalia Eryani of IMA World Health talks about responding in the time of multiple famines at the CCIH Annual Conference. 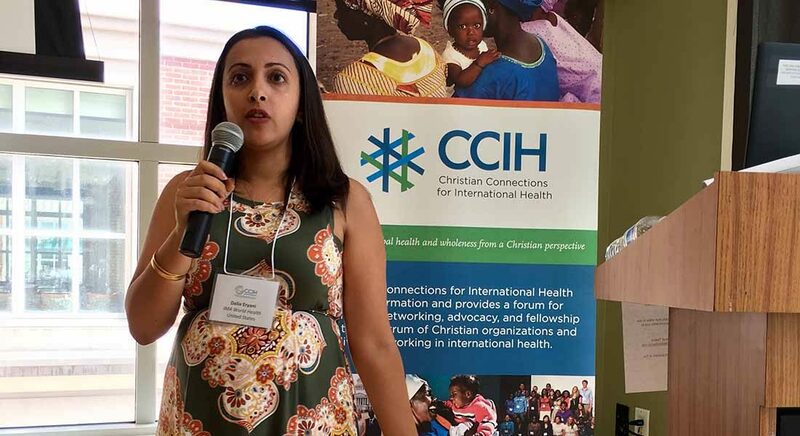 IMA Senior Program Officer Dalia Eryani shared Teer’s story during the Christian Connections for International Health Annual Conference held July 13-15 at Johns Hopkins University. Eryani’s presentation detailed IMA’s experiences as one of few humanitarian organizations on the frontlines of the crisis in South Sudan. 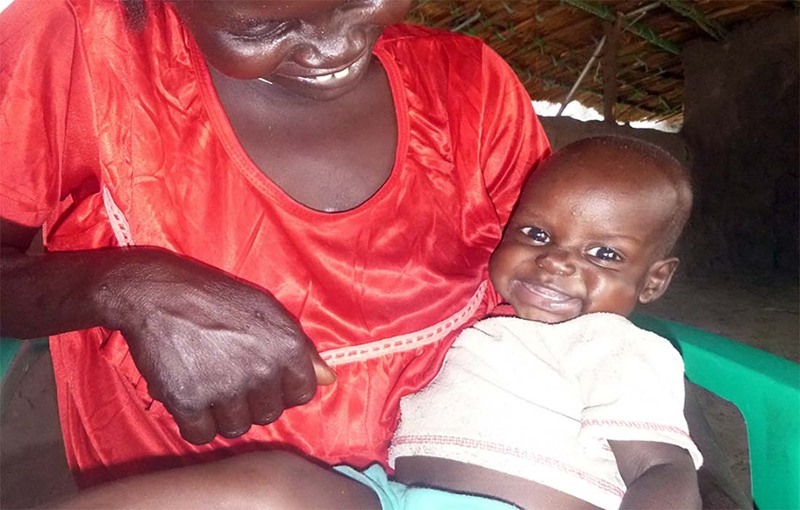 IMA consistently exceeds targets in nutrition in South Sudan, she said, which indicates IMA successfully reaches the many people who are in need.